DENVER -- A judge on Friday threw out a Denver radio host's case against Taylor Swift in a trial that delved into their dueling lawsuits over whether he groped her during a backstage meet-and-greet and whether she and her team ruined his career. U.S. District Judge William Martinez determined that the pop star could not be held liable because David Mueller failed to prove that she personally set out to have him fired after the 2013 photo op before a concert. 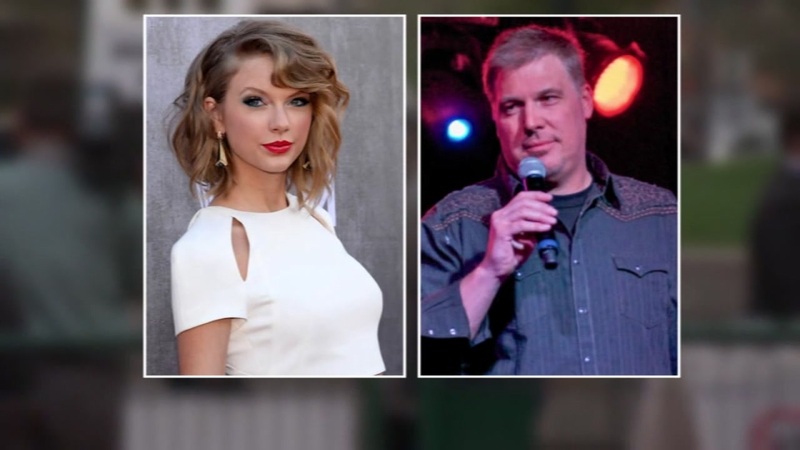 His identical allegations against Swift's mother and her radio liaison will go to jurors for a verdict. Mueller denies groping Swift and sued the singer, her mother, Andrea Swift, and their radio handler, Frank Bell, seeking up to $3 million as compensation for his ruined career. The singer-songwriter said in her countersuit that she wanted a symbolic $1 and the chance to stand up for other women. With jurors outside the courtroom Friday, attorneys on both sides argued over whether Mueller had presented enough evidence to send his full case to the jury. Those statements and the judge's questions focused on whether Swift herself had done anything to get Mueller fired. It comes after days of testimony from the singer and others. Swift spent an hour on the witness stand Thursday defiantly recounting what she called a "despicable and horrifying and shocking" encounter. "It was a definite grab. A very long grab," she added in her testimony. Swift's testy exchange with Mueller's attorney occasionally elicited chuckles - even from the six-woman, two-man jury. She got a laugh when she said Dent saw Mueller "lift my skirt" but someone would have had to have been underneath her to see the actual groping - "and we didn't have anyone positioned there." Swift testified that after the photo was taken, she tried to get as far away Mueller as she could. She said she told him and his girlfriend, who was also in the photo, "thank you for coming" in a monotone voice before they left. In the image, shown to jurors during opening statements but not publicly released, Mueller's hand is behind Swift, just below her waist. Mueller's then-girlfriend, Shannon Melcher, is on the other side of Swift. All three are smiling. Melcher testified Friday that she saw nothing happen during the brief encounter and that she and Mueller were rudely confronted and escorted out of the arena that evening. Melcher said Mueller was devastated by the accusation. She said she and Mueller started out as co-workers at country station KYGO-FM and became romantically involved in February 2013, a few months before the concert. They drifted apart late in 2013, but Melcher says they remained friends.